Belgium continues to face the tough task of trying to stop young people being radicalised. But how do you turn individuals away from the path? 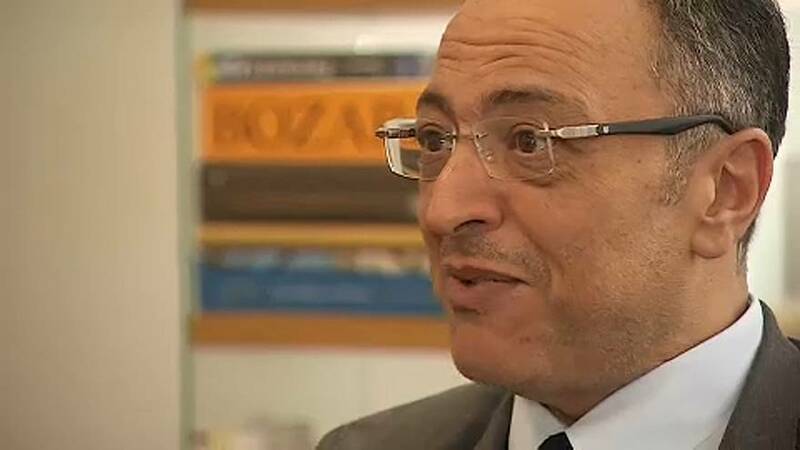 Euronews spoke to Rachid Madrane, a minister for the French community of Belgium. We started by asking him about the government of Charles Michel and specifically the New Flemish Alliance party. What does he make of the strict asylum and immigration policies that are in place? "Today, you must know that in Belgium, this is the first time that we have in power a majority party that is a populist party, nationalist and far right. But they re on the extreme end of the far right. They have a vision of the world which is ultra-liberal, a neo-liberal vision where the human is a nothing but a number," said Madrane. "I have a vision of a socialist-internationalist-universalist, and they have a nationalist vision and a confederalist vision in Belgium. So they want a split and the end of the country." Euronews asked: "Is it possible to deradicalise an individual? In other words, is there an effective modus operandi - to prevent the radicalisation of a young person?" Madrane responded: "What we have done here in French-speaking Belgium is to build models that work more on prevention, on breaking the link with violence. That means, how do we turn someone away from a violent course or trajectory of delinquency. That's the approach we're working on. "The N-VA party in the federal government, for example, only works on security, which means putting soldiers on the streets, putting more and more police, etc. But not working on the root problem." Euronews asked: "Is positive discrimination a solution in the fight against racism, in your opinion?" Madrane answered: "There are moves to encourage the engagement of people coming from neighborhoods with the highest unemployment rates. "I wanted to avoid ethnic quotas. So we have instead based it on geographic quotas that allow all job-seekers, who live in a given place, if the unemployment rate is greater than or equal to the regional average, to be primarily eligible in public employment. "It has given results and today we see with all the changes that have been put in place, that unemployment levels among the under 25s has fallen and has been falling in Brussels, and continuously for nearly 60 months."